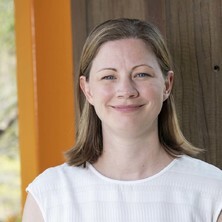 Dr Sally Staton is an NHMRC Early Career Research Fellow with a strong interest in the impacts of early life experiences on children’s long-term health and development. Her research focuses on the role of early childhood education and care contexts as places of early intervention. Her previous research includes the most comprehensive study of sleep practices in early education and care settings internationally, with a focus on child and family health and wellbeing. Dr Staton’s research spans a range of study designs and methodologies, including longitudinal studies tracking large child cohorts (>2000 children), standard observation techniques (in vivo and video), survey and individualised standard child assessment, as well as studies employing physiological (cortisol, actigraphy, heart rate variability) and qualitative (child, educator and parent interviews, socio-metric) designs. She also has a strong track record in research translation including reports for government and non-government organisations, development of professional development programs, and presentations and workshops to parent groups, government departments and the early childhood sector. In 2016, she was named among Queensland’s Young Tall Poppy Scientists. Sleep health and sleep problems in early childhood: What role does childcare play?